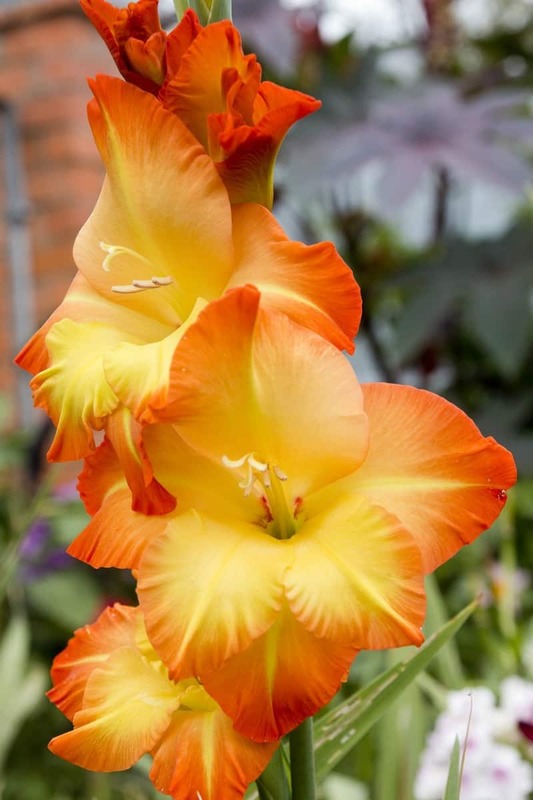 The gladiolus (Gladiolus x hortulanus) has been cultivated and loved since early times, but today’s range of color, size and forms has far outclassed its early beginnings. These flowers make stunning bouquets. 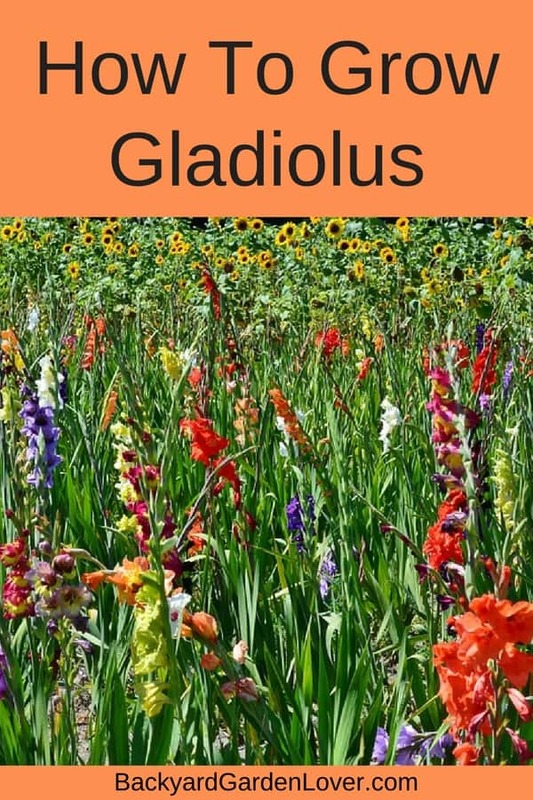 Wouldn’t you love to know how to grow gladiolus? 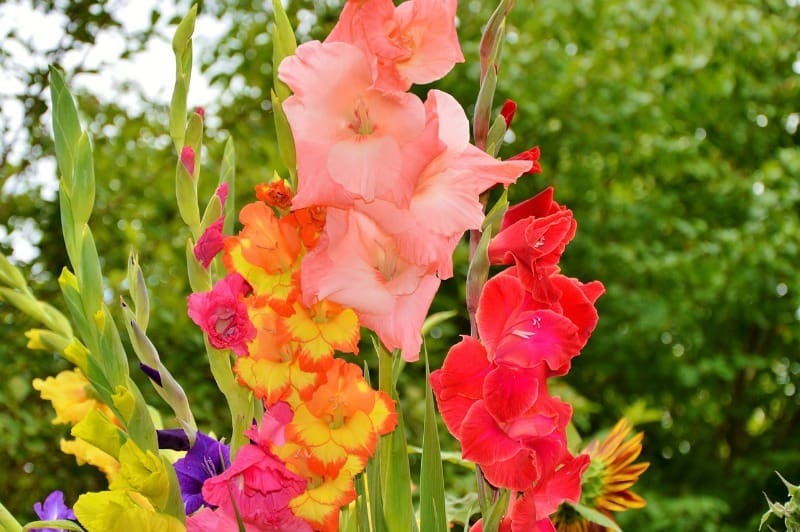 Gladiolus is a member of a huge family of colorful and richly flowering varieties and hybrids. Most of the over 200 species come from South Africa, although some of the smaller flowering varieties come from around Mediterranean, especially the eastern area. 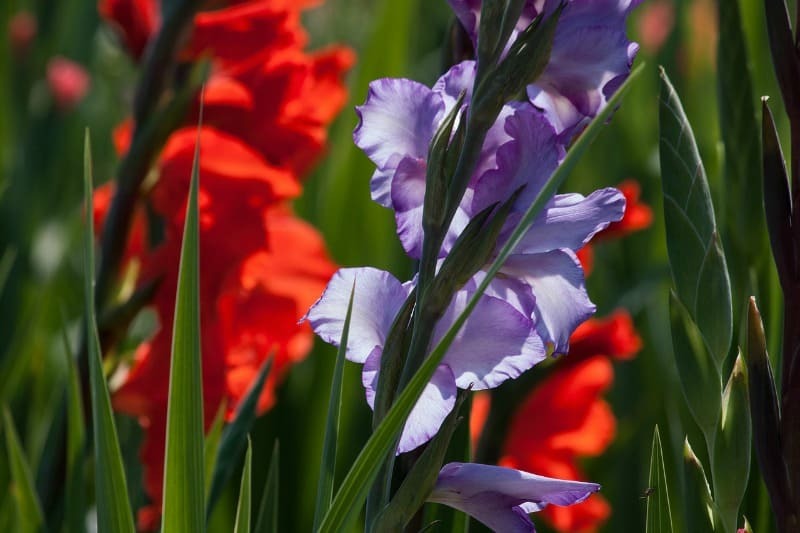 Legends tell us of the important role that the Gladiolus played in ancient feasts and ceremonies, and wall paintings of this historic plant where found in the ruins of Pompeii. 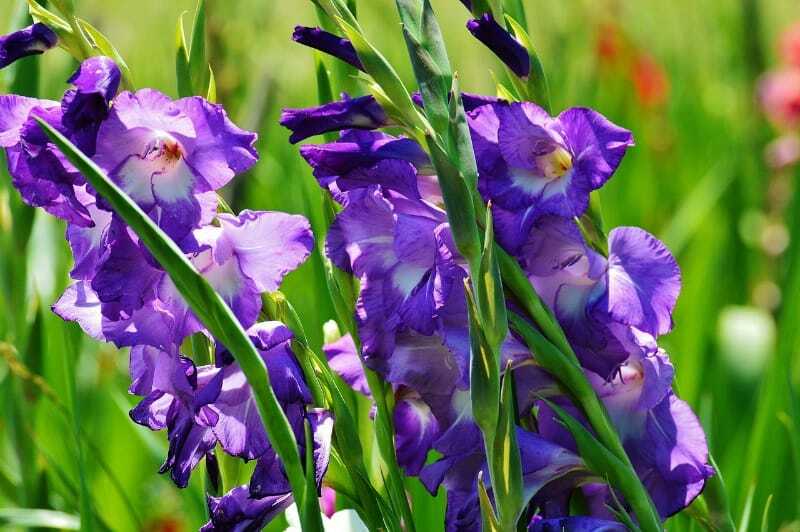 The bulbs of the Gladiolus are called corms, and are usually slightly flattened and covered with a mesh-like membrane. 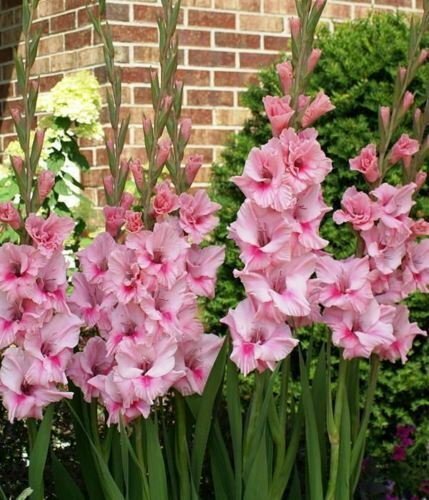 It is the sword-like leaves which have led to the Latin name of the plant, since the word ‘Gladiolus’ means “little sword”. The flowers are trumpet-shaped, and have clear, strong colors. 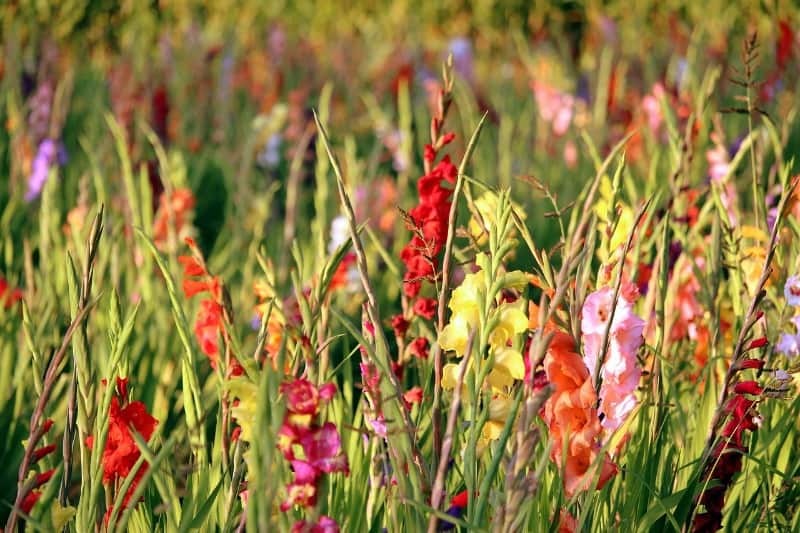 Modern Gladioli produce stems to 5 feet tall, each bearing 25 or more florettes (12-14 opening at one time). Miniature varieties grow to 3 feet and produce spikes of 15-20 flowers. 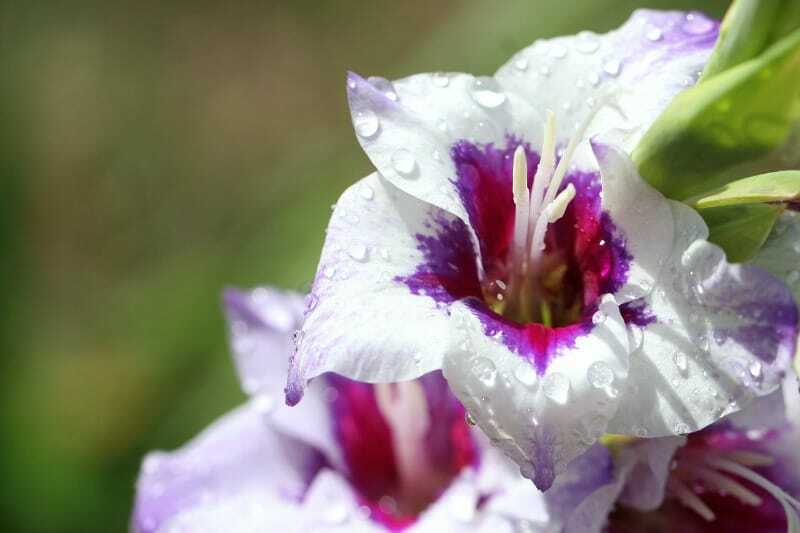 Plant Gladiolus corms in the spring. Purchase them at the garden center, or by mail order. Smaller corms are cheaper then large ones, but they will produce smaller flower spikes. In November – Inspect the corms to see if they are shriveling from too much heat, or developing rot from being kept too damp and cool. May through June – Dust the corms with a fungicide, and plant the corms after all danger of frost has passed and the ground has warmed. Choose a sunny location with rich, well drained soil. Set each corm at 4-5 times the depth of its height, and 4-6 inches apart. July through August – Give plenty of water in this growth period and add a weak liquid fertilizer every second or third time it is watered. It may be necessary to support the plants with bamboo canes. Cut spikes when the lowest flower begin to open. September through October – Dig the corms when the foliage yellows and dries.Cut the tops off just above the corm. Burn the dried tops, or discard them in trash containers, and dry the corms in a shady, well-ventilated place. Dust the corms with a fungicide and store in a dark place at 40-50 F.
Small, black patches on the corms are dry rot – use fungicide! Gray, furry patches on corms are gray mold. If the attack is too bad, throw the corms away. Pale patches on the leaves.This means thrips (the most serious problem in Midwest gardens). Fight them with a chemical insecticide. Many sprays at frequent intervals will be needed. 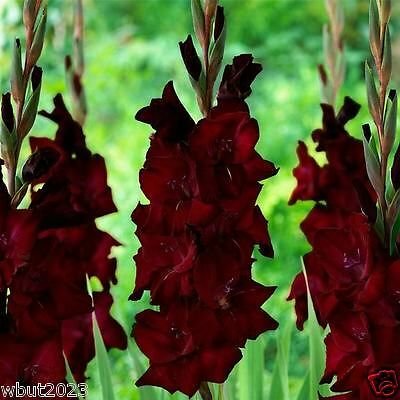 Gladiolus plants usually last about 3-5 years. Eventually either the corms will expire or the flowers will be discolored. 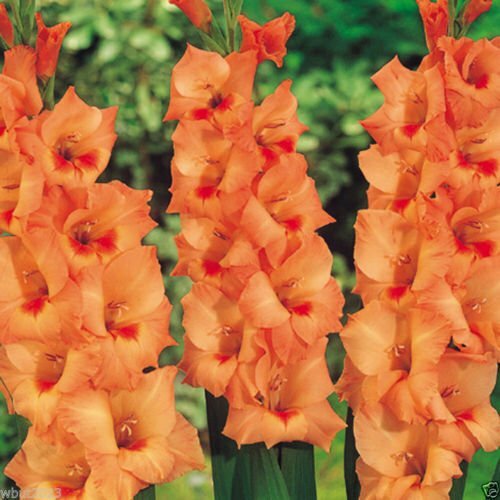 If you live in an area when winter comes early, you might have trouble growing gladiolus. 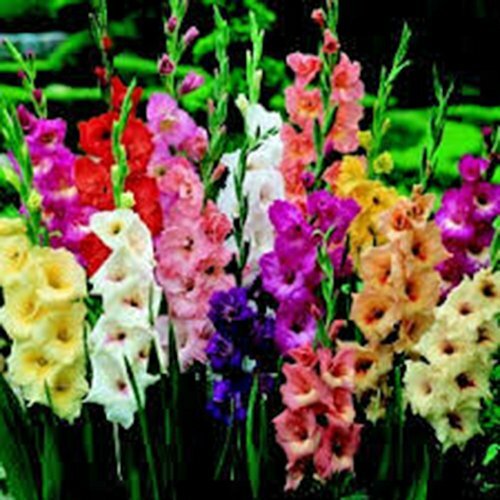 Today Gladiolus are available in a whole range of colors and heights. Here’s just a small sampling for your delight. What a pretty deep purple color! Nature is such a good artist! 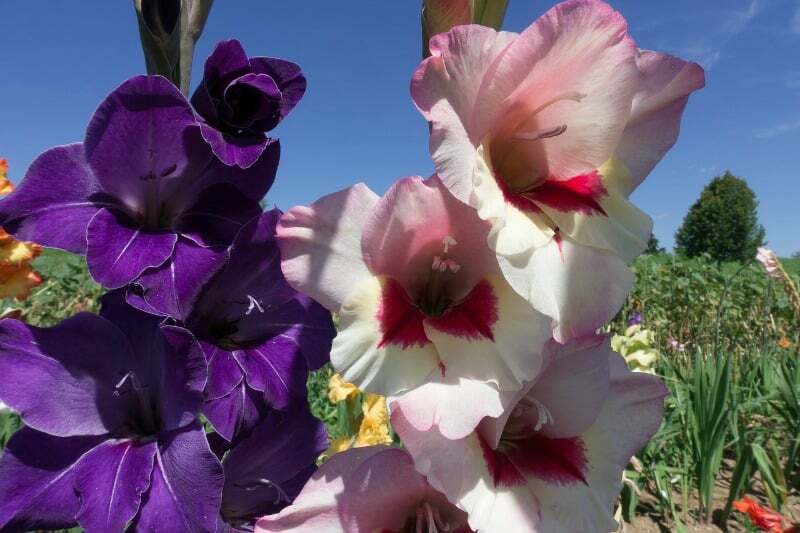 Just look at this white gladioli with the gorgeous combination of pink and purple in the middle. 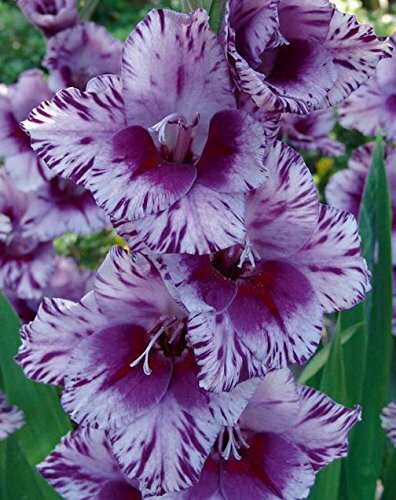 Beautiful pairing of deep purple and pale pink gladiolus. Another delightful color pairing: bright red and pale lavender flowers. How close, how long will they take to show that they are growing. I planting 25 corns a few weeks ago and only 6 are coming up? Should I give up? Well, wait for now: you don’t want to disrupt them, on case they are still alive.